Like all bartenders and spirits producers, Old Forester is in love with Prohibition — even though this period of time is hardly associated with high-quality anything. At the same time, you can barely count the number of “Prohibition Edition” spirits that have hit the market in recent years. Are we as a society really that eager to recreate the era of bathtub gin? Perhaps it’s not all that bad. 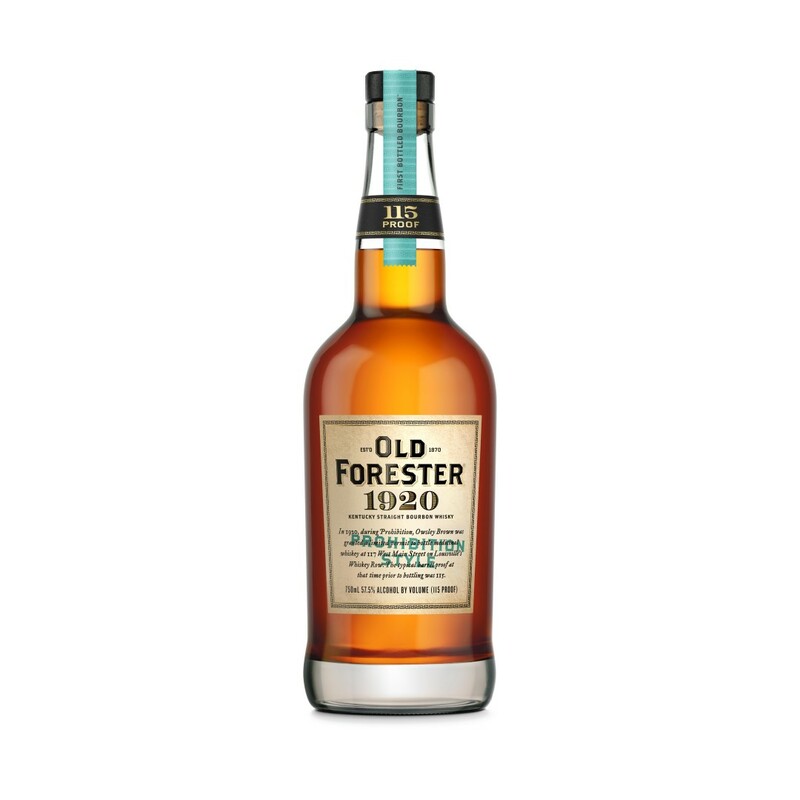 Old Forester had a license to produce a limited quantity of medicinal whiskey during the 1920s, and this release is meant to recreate that experience, its defining characteristic being bottled at a hefty 115 proof. As the abv suggests, this is a bold and in-your-face spirit, though not quite as punchy as many cask-strength whiskies. The nose offers aromas of dried fruit and wood, both in agreeable balance, notes of dried orange, grapefruit, and mixed florals evident even through the haze of 57.5% alcohol. On the palate, the richness impresses even more, providing a chewy core that’s loaded with fruit, well-integrated oak, baking spice, and some hints of licorice. Lush and rounded, it’s a whiskey with soul — and I’m not even going to start down some road of making “ghost of Dorothy Parker” analogies, because that would be totally crazy. Old Forester 1920 finishes on point, improving on an already impressive start as it builds to a sweet and fulfilling conclusion. Warming but not overpowering, and lengthy on the finish with echoes of both sweet fruit and dusky spices, it’s at once unusual and a classic example of how great bourbon ought to taste. In addition, it’s the clear champion of the Whiskey Row collection to date (see also 1870 and 1897). If you see it, buy it. How does water and/or ice affect it? I never review with ice (and rarely drink with it), but the whiskey stands up well to a bit of water. I don’t think it needs it, though. This is one seriously good whiskey. Not very easy to find but if you can, load up. Not cheap but relative to value it is actually an amazing deal. I’d put it up against plenty that cost two and three times as much.